This entry was posted on May 18, 2014 at 7:27 pm	and is filed under Uncategorized. You can follow any responses to this entry through the RSS 2.0 feed. You can leave a response, or trackback from your own site. I maintain it is the best IDE for developing 16-bit real mode code on the hardware itself, since you can inline assembler, single-step with a symbolic debugger and watch register variables change, etc. It’s like an ASM IDE. 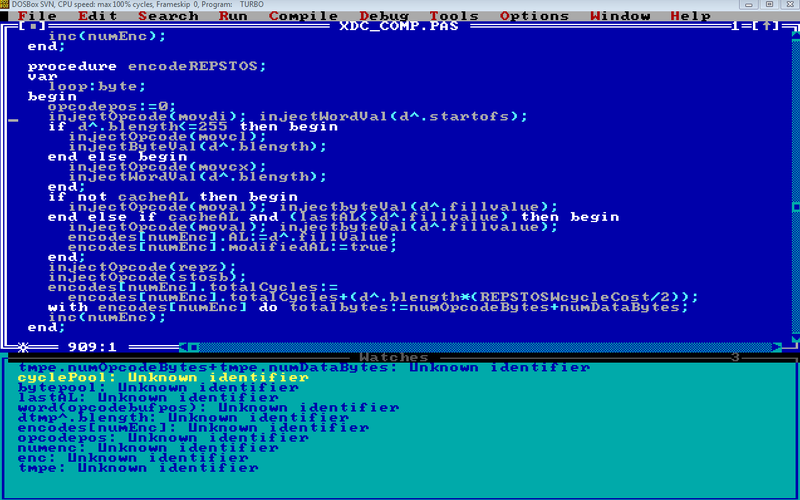 I’m guessing an old copy of Turbo C would have the same features (inline assembly, debugger, IDE, etc). Anyhow, nothing wrong with Pascal, it’s just odd to see it now a days. I used to program in Pascal for the Mac a long time ago.